I have officially made the switch! Over 2017 I have really enjoyed using my gorgeous Erin Condren Life Planner on a daily basis and it’s been wonderful. However a lot can change in a year. I’ve moved, taken over planning my boyfriend’s life (Because he has the worst memory), and my son is another year older and in 2ND GRADE which is just… insane. So… understandably my planner needs have changed as well. The Erin Condren Life Planner is an excellent planner for sure, and there is an endless supply of Etsy shops selling super fun stickers to decorate it every week if you’re into that sort of thing… which I was for a long time. Lately though I find myself filling the planner with more than just stickers and a few appointments here and there. I’ve found that I really thrive when I have detailed lists of tasks and appointments. And I just started to feel like the structure of this planner wasn’t meeting my needs anymore. So what do I do when I am thinking about switching up my planner game? I watch one of my favorite YouTubers in the world, Jennifer Ross. She does a lot of REALLY in depth planner reviews on her YouTube channel and corresponding Blog. 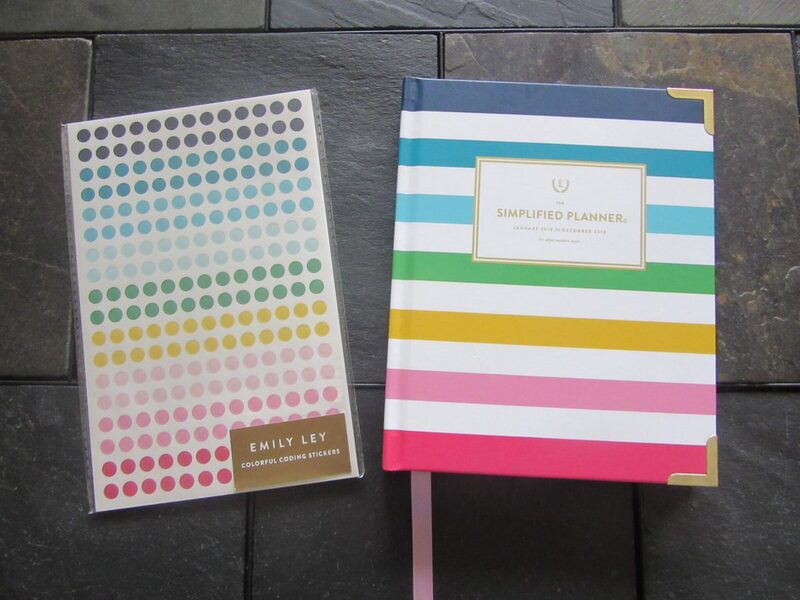 This is where I learned of The Simplified Planner by Emily Ley. I decided to try this planner for a couple of reasons. First being the weekly/daily layout is perfect for what I need. A place to list tasks for the day, a place to list appointments, and a space for planning dinner for that evening. 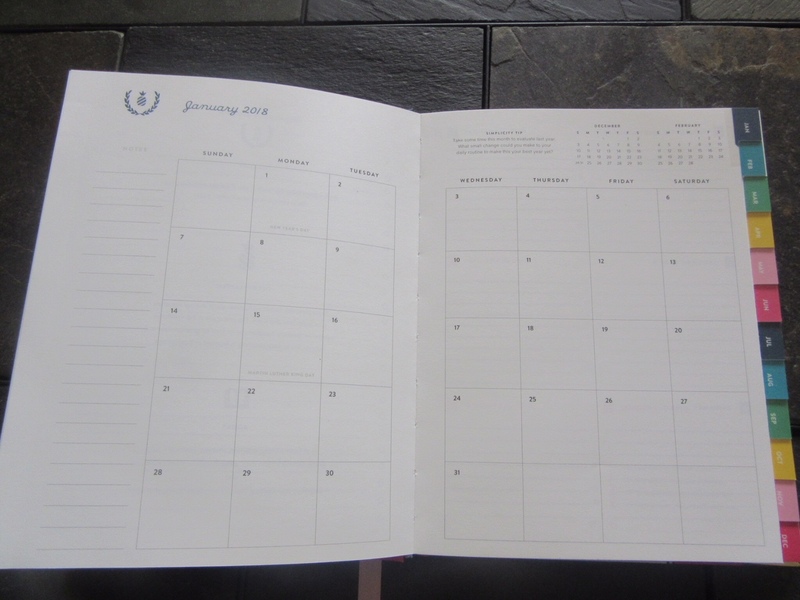 Second is the simple and efficient Month at a glance page and extra note pages. There are no unnecessary filler pages. Don’t get me wrong, inspirational quote pages are nice but I just don’t feel like I need that in my planner anymore. I want things to be simple, clear and straight forward. I purposefully chose a planner that doesn’t necessarily focus so much on fun stickers. You can play around with them if you like. (In fact my planner came with a free sheet of fun stickers.) However there is less room for them in this planner than in the EC Life Planner. The fun stickers are … well fun! 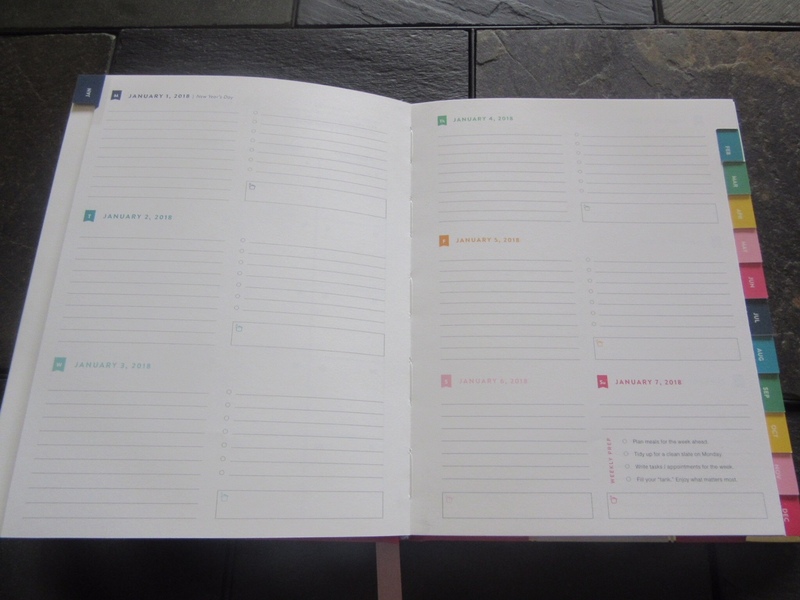 But I wanted my planner to be just a little more functional and a little less like scrap-booking. In this planner I am going to use simple color dot stickers to track certain things on the monthly pages. Other than that I don’t plan on using stickers very often. My third reason was the size. I chose the 6×8 inch lay flat hardcover planner with gold foil details for 2018. It is absolutely beautiful. Since it doesn’t have a ton of extra pages or a spiral ring binding it takes up a lot less space. It fits in every purse that I own comfortably. A bonus for me was this amazing keepsake box that the planner came in. I highly recommend either one of these planners. They are both good quality and they are both gorgeous planners. They are similar in price. It really comes down to your personal needs. 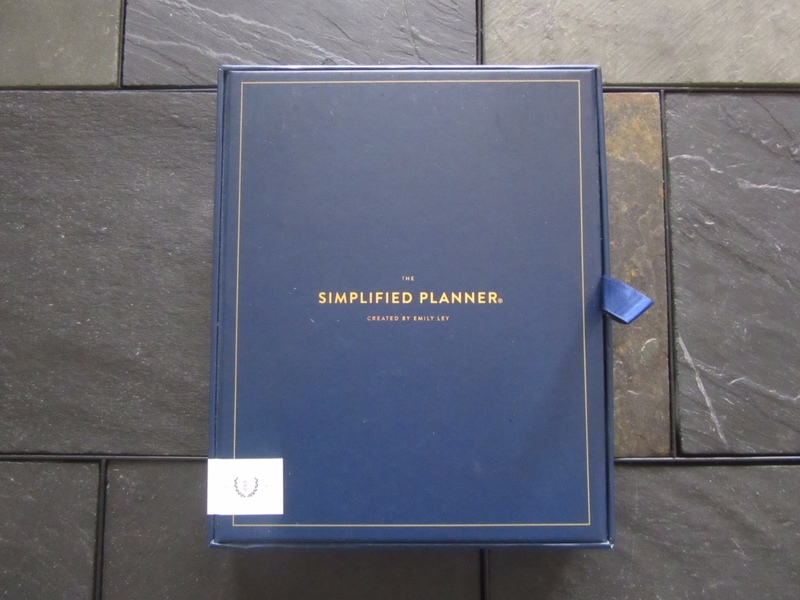 My needs are telling me that the Simplified Planner is the one for me this year! I’ll do an updated review once I’ve been using the planner for a few months. I Joined LimeLight by Alcone!